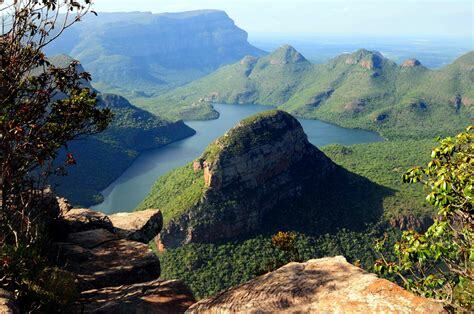 The Panoramic Tour takes you along a breathtaking route winding its way along the escarpment of the world-famous Blyde River Canyon. 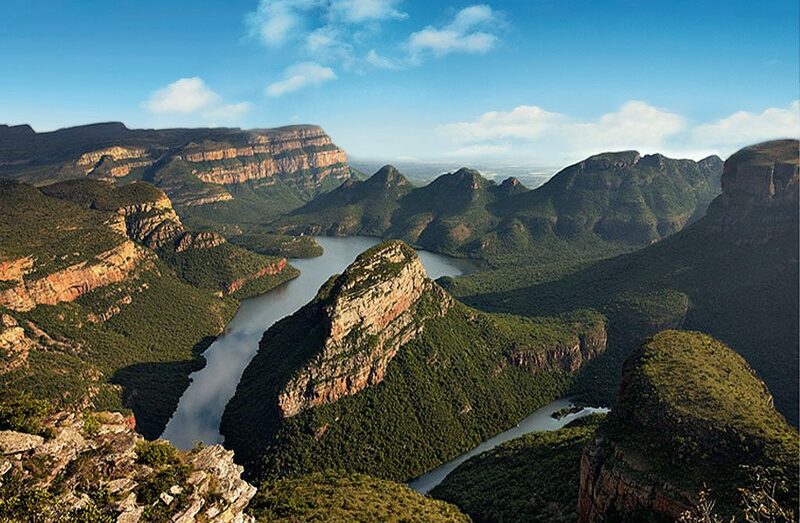 While it is difficult to compare canyons world-wide, Blyde River Canyon is one of the largest canyons on Earth, and it may be the largest ‘green canyon’ due to its lush subtropical foliage. You do not have to tarry on the Panorama Route long before you realize there could hardly be a better name for this beautiful part of Mpumalanga.. We will travel through a rugged but beautiful countryside and your camera will capture panoramic views of ravines, rivers, grasslands and African bushveld – add to this image the low-lying cloud and mist which decorate the rain forest areas – no wonder Mpumalanga is often referred to as Paradise Country! 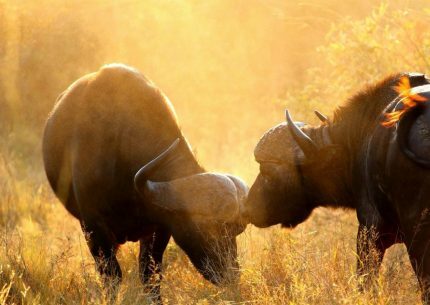 The list of sightseeing points along this route is long and astonishing: Graskop Gorge , Pinnacle , the Lisbon Falls, God ‘s Window , the Bourke ‘s Luck Potholes , Mac Mac Pools and the Three Rondavels , just to name a few. 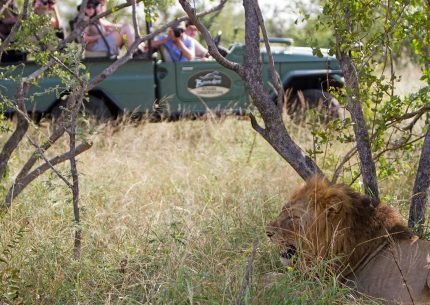 To crown it all, each attraction on the route offers a look at a piece of beautiful scenery. 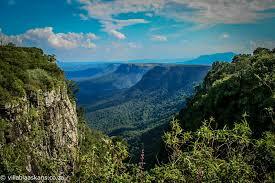 There are waterfalls , mountain passes , valleys and rock formations. 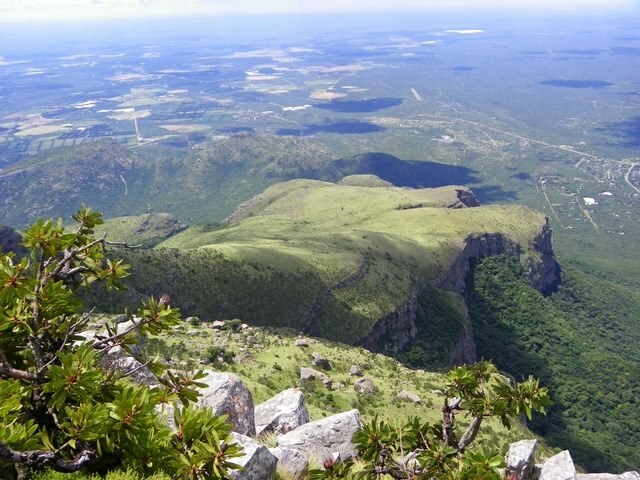 Travel through the narrow , winding Pelgrimsrest Pass to the heart of the Panorama Route , Graskop where, as if the area does not have enough jewels it’s tourism bag, our guide will stop over at Harry ‘s Pancakes where the modest pancake becomes a delicious lunch..
For those who would like to test themselves against nature, there are numerous inspiring walks, hikes, horse-riding and mountain bike trails. For those of the less active kind there is a “treetop – cableway” to experience. Your professional guide will advise of the best choice. 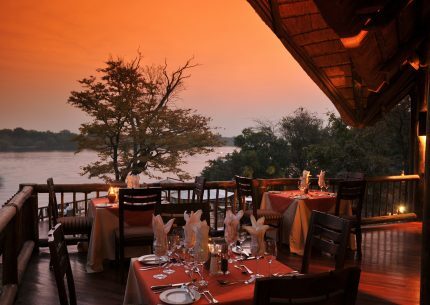 Our journey ends back at Sausage Tree at the onset of yet another magical African sunset – time now for that sundowner!